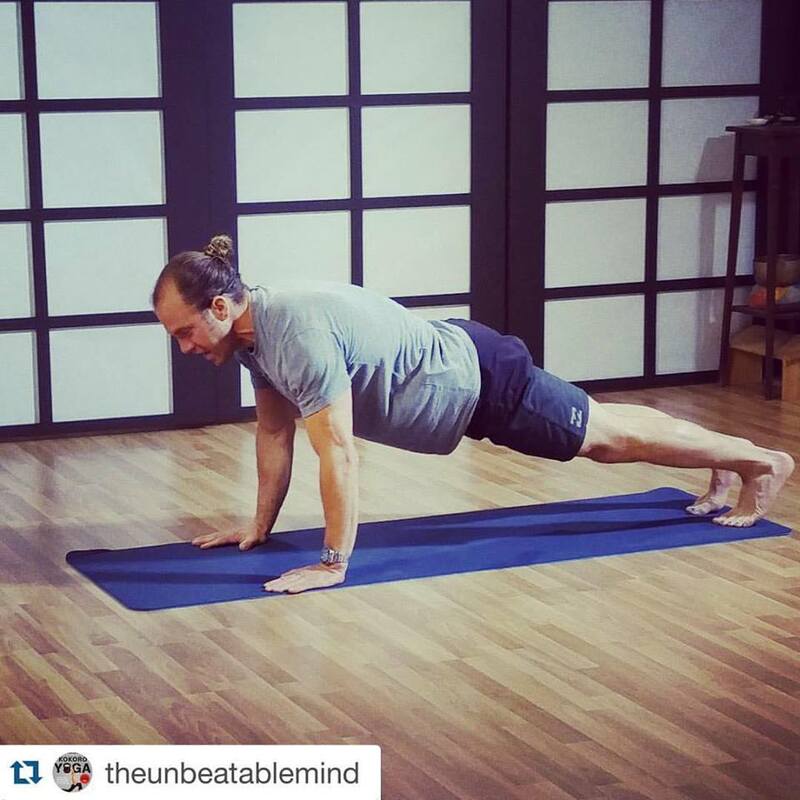 On April 22, 23 and 24, Greg Amundson filmed the content for the on-line version of Mark Divine’s new bestselling book Kokoro Yoga. The content will be used for the Unbeatable Mind program and the upcoming 200 Hour Yoga Teacher Training on-line training course. The first step for the 30 Day Challenge is to determine your body fat. This can happen at Max Muscle on 41st Avenue, or another rapid way to determine your lean body mass is simply to use a tape measure and a scale. You should make all measurements on bare skin (not through clothing) and make sure that the tape fits snugly but does not compress the skin and underlying tissue. Take all measurements three times and calculate the average. All measurements should be in inches. Measure your hips (for women) at the widest point and keep the tape level. Measure your waist at the belly button, not the narrowest part. Measure your wrist (for men) at the space between your dominant hand and your wrist bone at the location where your wrist bends. Measure your height without shoes. Once you have your body fat, the next step is to determine your block allotment each day. Once you establish how many blocks to eat each day, simply divide the blocks up into 3 to 5 meals each day. For example, an 18 block male could eat 4 x 4 block meals, with a 2 block snack. Our Coaches will be able to help further explain this principle. If you are using the waist measurement method CLICK HERE.